It’s no secret that many babies, older children and even adults like to fall asleep listening to music. My oldest son, NHL, has gotten used to this. Music in his room at night helps to relax him and get him to sleep faster. TechyDad and I have no problem with this. The only issue that we had was the same CD getting "old" after 365+ playings. Several months ago, this stale bedtime music routine changed. I was contacted by Rockabye Baby! to do a review of a few of their lullaby rendition CD. At that time, I had reviewed lullyby renditions of Guns n’ Roses along with lullby renditions of Aerosmith. To read more about those CDs and our thoughts head over to my review. NHL has a great appreciation for music. He loved listening to new artists and enjoys singing along. When Rockabye Baby! contacted me again about their lullby renditions of Journey that was released in February, I immediately agreed. This was a nice chance to introduce both of our boys to another popular music icon in a unique way. ( Los Angeles ) "Who’s Crying Now?" If those sobs are coming from the nursery, help is on the way when Rockabye Baby releases its latest album of rock songs turned into gentle instrumentals on February 9. Lullaby Renditions of Journey features 12 songs from the classic group that has sold over 75 million albums worldwide. Thanks to the sweet and tender sounds of glockenspiel, vibraphone, Mellotron, harps and bells, tunes from the group with 18 Top 40 singles and six Top 10 hits extend "Open Arms" to infants. It¹s not "Only the Young" who enjoy Rockabye Baby albums. Parents who "Faithfully" follow the music of Journey will savor this album as it helps them to share the songs of their favorite band with the next generation. 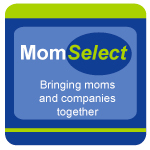 Moms and Dads who are "Stone In Love" with their little cradle rockers will also love lullabies that help ease their babies to sleep at naptime or bedtime with timeless tunes like "Don’t Stop Believin" the top selling catalog track on iTunes. Rockabye Baby has fostered an ongoing revolution in children’s music by creating albums adults enjoy as much as children. Rockabye Baby’s CDs have become the must-have baby shower gift, while rocker parents and grandparents such as Sheryl Crow, Kirk Hammet of Metallica and Steven Tyler of Aerosmith have sung their praises. The rock lullaby line has been heralded in the media and won top parenting product awards with its albums of songs by The Beatles, Queen, Bob Marley, U2, Led Zeppelin, Coldplay, Nirvana, Pink Floyd, The Rolling Stones, Green Day, The Ramones, Metallica, Radiohead, AC/DC, The Cure, and many more. The label’s most recent release, Lullaby Renditions of Guns N’ Roses was named one of the 10 Best Books and CD Gifts for Kids in Entertainment Weekly¹s recent 2009 holiday gift guide, and the Aerosmith lullaby CD issued last September included liner notes by the band’s lead singer Steven Tyler. The Rockabye Baby blog is updated daily with info about the coolest products and music for babies, coloring pages, rock star facts, recipes and much more to serve as a vital resource for parents. Fans of the albums can vote for the artists whose music they want to hear in future releases. 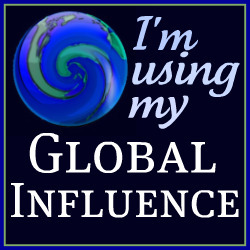 Find more information, song samples, the Rockabye Baby! blog and more at www.rockabyebabymusic.com. Once again, the boys were quite anxious to try the new CD that we received. They both wanted to know the names of the songs as they played. They were also quite curious to see what would come next on the track list. NHL took the CD cover and read off as each song played. Like with the other Rockabye Baby! music that we have, it was nice to use not only when the boys go to sleep, but also for quiet play time. As I listened to the CD, memories came to me from hearing these songs during my lifetime. It was nice listening to my boys react to the songs. NHL would ask me questions about them. Thanks to the Rockabye Baby! lullaby renditions of Journey, NHL has asked to hear the original Journey songs and we have done this so he can see the difference. My favorite songs on the CD are Open Arms, Don’t Stop Believin’, and Any Way You Want It. The songs on this CD are calming, soothing and perfect for background music when reading, having quiet play or trying to soothe a child to sleep. I know that the next baby shower I go to, part of the gift will be a Rockabye Baby! CD with the songs of the parents favorite artist. With the wide variety now available, there will likely be several to pick from. 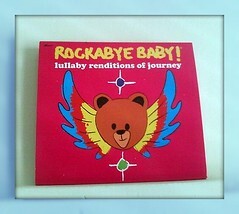 Disclosure: I received the Lullaby Renditions of Journey CD complimentary of Rockabye Baby! in order to facilitate this review. No other compensations was given. The opinions expressed in the review are my own feelings about the product that my family tried. We have a couple of Metalica songs that we picked up off of iTunes. My sister-in-law had an iPod that will not hold a charge so she gave it to us and we made a mix of instrumental music that we use for Abby. It’s about four hours worth, but it is on for about an hour each night so I am guessing that she knows a couple of them by sound but they are in a different order each time. Happy new music – that’s exciting!